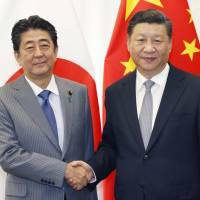 VLADIVOSTOK, RUSSIA - Prime Minister Shinzo Abe and Chinese President Xi Jinping agreed Wednesday to closely work toward the shared goal of denuclearizing North Korea, with negotiations between Washington and Pyongyang having reached an impasse. During their talks in Vladivostok on the sidelines of an annual international forum, Abe and Xi also agreed to accelerate arrangements for Abe’s planned visit to China next month, Abe told reporters. Abe said Xi welcomed his planned visit amid improving bilateral relations as the two countries mark this year the 40th anniversary of a bilateral peace and friendship treaty. Japan-China ties have often been strained due to issues related to territory and wartime history. 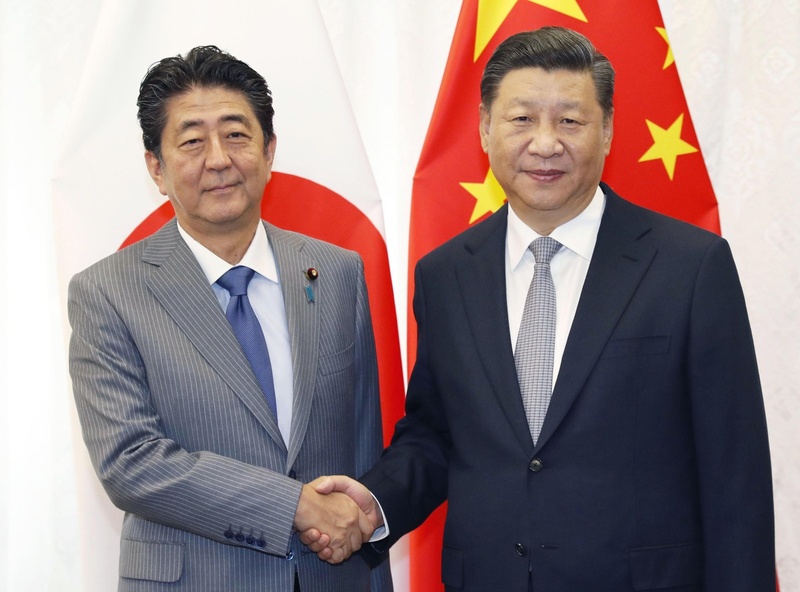 On the economic front, Abe and Xi are believed to have talked about the importance of free trade amid growing concerns that an escalating trade war between the United States and China could harm the global economy. The leaders also discussed cooperation in third countries for promoting the Xi-led “One Belt, One Road” cross-border infrastructure initiative. The Japan-China summit comes amid a deadlock in denuclearization talks between the United States and North Korea since their leaders’ historic summit in June. China is a traditional ally of the North, and Xi has met with North Korean leader Kim Jong Un three times this year. In recent years, Japan-China ties have been marred by a dispute over islands in the East China Sea that are controlled by Tokyo but claimed by Beijing. They are called the Senkaku Islands in Japan and Diaoyu in China. Tensions escalated after the Japanese government effectively put the group of uninhabited islands under state control in September 2012. But Japan-China relations have shown signs of improvement since, and the two countries mark the 40th anniversary this year of a friendship treaty. Chinese Premier Li Keqiang visited Japan in May, the first visit by a Chinese premier in seven years, to attend a trilateral summit also attended by South Korean President Moon Jae-in.